You might remember Republic Wireless from the splash it made when it announced its cheap $19 monthly unlimited service. The carrier's plan is to connect you for unlimited calls, data and text using Wi-Fi connectivity with Sprint's network used when there is no Wi-Fi service. 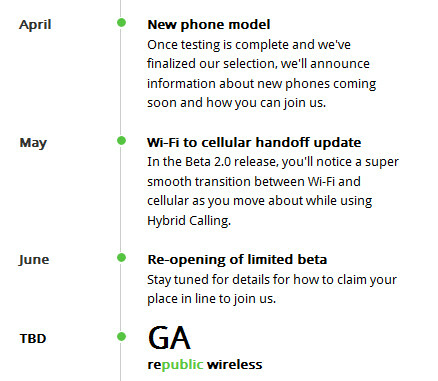 Right now, Republic is running a beta of the service which is available over just one phone, an LG Optimus unit running Android 2.3. The good news is that as soon as June, more Android models will be offered which were characterized as being "more powerful". On its March update, Republic says that the beta, which it has been undergoing for two months, is doing well and that it plans on opening its doors for customers to join the limited beta sometime this summer. The carrier said things are going so well that it is "eliminating the baby steps" so that it can get the service up and running ASAP. Republic Wireless added that it is working on a way for you to reduce your current "Big Cell bill even before you can join and make your escape". In May, Republic will introduce a new technology that makes Wi-Fi to Cellular handoffs better. Republic says that this technology is blowing them away in the lab which makes the executives happy. After all, that Wi-Fi/Cellular handoff is at the very heart of the service. Republic has already quadrupled the number of employees it had since the November launch and from the sound of it, the carrier is eager to open its doors and get started. 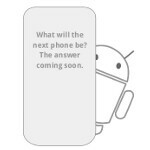 Nexus S? I can only hope. Last time I checked the nexus s wasn't an LG optimus phone with 2.3 It is probably the optimus black or maybe the 2x. I think Roomaku was guessing the phone to come. The "LG optimus phone with 2.3" is what they already have. The "more Android models will be offered which were characterized as being "more powerful"." is not specific to any brand, just that it will be more powerful. o sh!t my bad, misread the article. Im rooting for them. If the service continues to work well and the phone selection improves also (and maybe allow bringing over unlocked phones we already have) then Id switch in a heartbeat. The biggie for me is that cellular signal at my house is lousy for all carriers. We're currently on Sprint with their femtocell, but that's one more device on our network, and the bill, while not as high as what VZW would charge for our 3 phones, is a lot more than $60. Also, with daughter heading off to college, I'm thinking wifi is ubiquitous these days on college campuses, and will address signal issues inside buildings. With free wifi in a lot of businesses as well, this seems like a great way to deal with signal issues inside buildings. Ting is another carrier with lower costs, but seems to roam on Sprint native for data (more limited), but full Sprint-with-roaming for voice. Republic appears to use Sprint-with-roaming for both - a big plus. T-mobile has had this on some of their phones for quite some time, but it doesn't lower your bill. yeah ive got wi-fi calling on my g2x. it still deducts from my minutes but i get perfect clarity in buildings where i dont have a consistent signal.